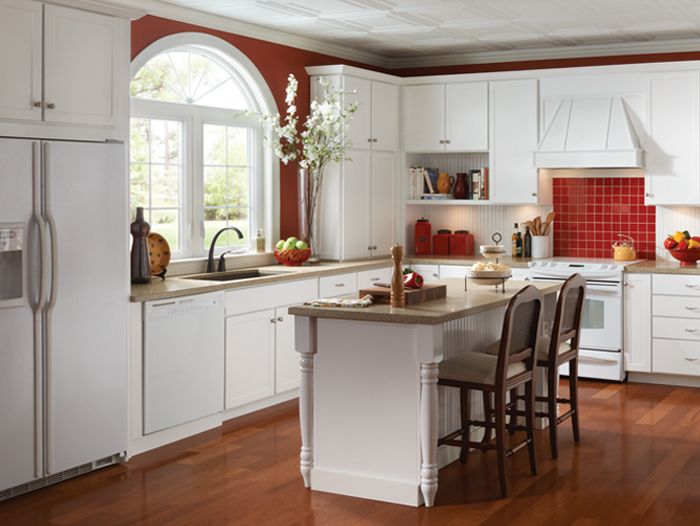 Mayfair’s Shaker style and full overlay construction can be directed with traditional or contemporary décor. The simplistic design and easy-care attributes of thermofoil are a perfect choice for today’s home. Mayfair comes on a white painted cabinet. 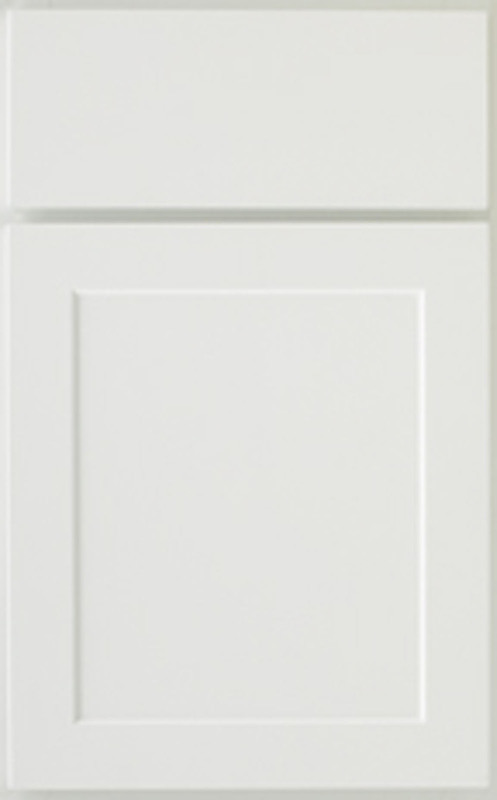 Some difference in sheen may be noticeable between the door and cabinet frame, fillers and available basic items (such as crown molding, scribe molding, etc. ).